Like any good dog owner, you love spending quality time with your canine companion (or companions). You might take them to the dog park, on a hike, on a boat, on a camping trip, or even on a bike ride. Looking for something a little different to do with your furry friend? Want to meet other like-minded dog owners? Maybe you have a new puppy and are ready to introduce him to other puppy pals? There are lots of fun activities that are dog-friendly in Maricopa County! Whether you want to sip a cold beer with friends, pamper your pup, or walk your canine pal for a good cause, there’s a dog-friendly event for everyone in the upcoming months – and most of them raise money for a very good cause. 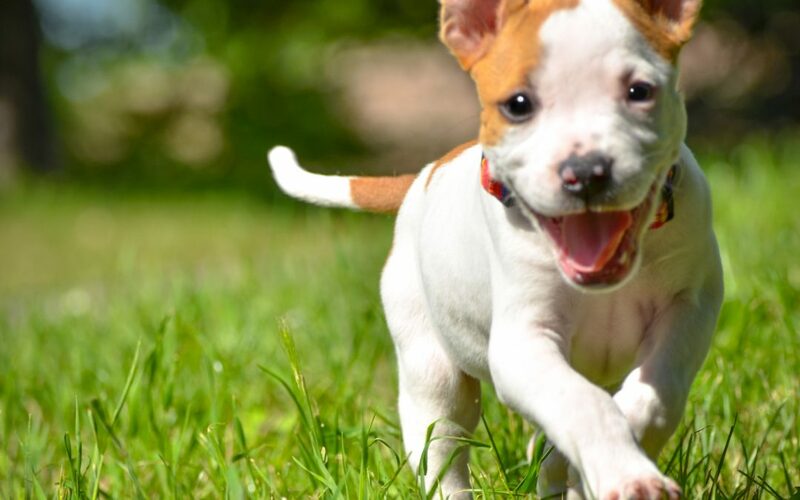 We’ve compiled a list below of some upcoming dog-friendly events in Maricopa County for you and your doggo to socialize with other four-legged friends – and maybe you’ll even meet some new two-legged friends as well! The Puppy Party at the Arizona Humane Society is all about helping your puppy learn social skills by interacting with other puppies – and their human owners. These parties are for puppies that are 8-weeks to 5-months of age. All puppies in attendance must also have one Da2PP and one Bordetella (one of each at the minimum). Owners must bring proof of their pup’s vaccinations. Oh, and you can’t come unless you have a puppy to bring! While it doesn’t cost a thing, donations to the humane society are always welcome! Please register to this event as the guest list tops at 10 puppies! If you can’t make it to this one, there are more throughout the year! Put on by the Lucky Paws Animal Rescue, Paws for Brews is a good old fashioned brewery hangout. Attend this event with your canine companion and expect to meet other like-minded dogs and owners while sipping on O.H.S.O Brewery’s beers! If beer with your dog isn’t enough, note that a portion of all of the sales will go to support the Lucky Paws Animal Rescue! Hop on over to Chase field and get together with the Arizona Diamondbacks and their four-legged friends for an activity-filled afternoon. What does Bark in the Park have to offer? Sponsored by AvoDerm Natural Pet Foods and Nylabone, Bark in the Park offers plenty of activities and free samples. There is even a pre-game parade of puppies! The rules? All canines in attendance need to be 6 months or older and be updated on vaccinations (owners you must bring a copy from your vet!). All owners must have a dog license. Don’t have one or need to renew? Visit the Maricopa County website for more information. Into classic cars? This event introduces a mix of drooling over cars and tiny drooling dogs. There is a tiny-dog race and there are plenty of games and raffles. Have a classic car of your own? Enter it into the show for a chance to win one of three prizes! Register for $15 at this Eventbrite link. Created in 2016 by Lisa Vanderpump, the Vanderpump Dog Foundation rescues pups and spreads awareness about the abuse that a lot of canines endure including the sad truths of Chinese dog meat markets, which the Foundation works rigorously to end. The Vanderpump Pamper Paw-ty is an event that will benefit this amazing foundation. Not only does this event include raffles and snacks, but pamper yourself with manicures, mini-massages, and more! And for your canine friend? Paw-dicures! The rules to attend? A $25 registration fee (that goes toward a great cause). Oh, and your pup must be fixed and have a friendly disposition! Want to help the Mariposa community with finding homes for homeless dogs (and cats)? Attend this year’s BARKtoberfest, which benefits the Arizona Friends for Life Animal Rescue. From costume contests for your four-legged friend to shopping, food trucks, and live entertainment, this event offers a great variety of fun activities all day. There’s even a dog adoption area, so be prepared to potentially meet your new best friend at this year’s BARKtoberfest. Register today for this year’s Strutt Your Mutt charity walk to help raise money that will assist in saving the lives of homeless dogs and cats. This year, the goal is $50,000. You can choose to raise money for Best Friends Animal Society or many other animal rescue groups and local shelters. But the festival offers more than just a walk. Join in on yoga with your dog or have your dog’s portrait made. Listen to music or enter a contest. Another fun afternoon for Mariposa County dog lovers! Mark your calendars for this year’s Woofstock, a very special dog-friendly event for every Maricopa County canine and their human. The event is put on with the help of the American Service Animal Society and Maricopa County Animal Care. Families are welcome and there are a lot of fun activities planned, from a walk to salute veterans, to demonstrations and stage performances. Here’s the low-down: this event happens rain or shine, no refunds, and only cash is allowed. One dog per owner and please pick up after your pup (they provide poop bags, so don’t worry! ).